Home / Flash / Funny / Homestarrunner / Homestarrunner.com / News / Strong Bad / Toon / Update / Homestarrunner is back! 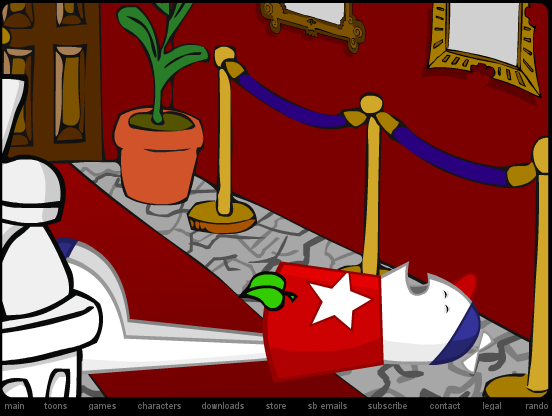 After more than three years, Homestarrunner.com has finally updated with a new toon! Back in Homestarrunner.com's heyday (Late 2000s) Homestarrunner.com would update on a regular basis and especially on major holidays (like April Fool's day). This past April Fool's day we all got a treat with another funny toon and the return of Homestarrunner and Strong Bad. The new toon is consistent with the humor of the past but leaves everyone in the dark as to whether or not there will be more updates in the near future or if we will have to wait another 3-5 (or 15) years for our next update. No matter how long it will be, it is still refreshing to see an update on one of the funniest websites on the internet. Check out the new toon now!